The line up for the day included a couple of meetings with personnel from the Health and Care administration of the City of Copenhagen municipal. As a marketer having worked within health and care for over 20 years, it was a great opportunity to meet with my counterparts in Copenhagen where we could share insights and learn from one another’s experiences. First up was a workshop to the Communications and Press team. I had been invited to speak to the team about the difference between marketing and communications techniques for managing health and elderly care services. Using the marketing mix as the basis for the workshop, I shared insights into how the different elements of the marketing mix could be used when planning health promotion and prevention campaigns and also to market elderly care services. I shared examples of how this has worked in practice drawing on my experience to aid our discussion on successful approaches, as well as how to address some of the challenges we often face in health and care marketing. After the workshop I visited the Help Aid Centre of Assistive Technology in Ryparken Osterbro. 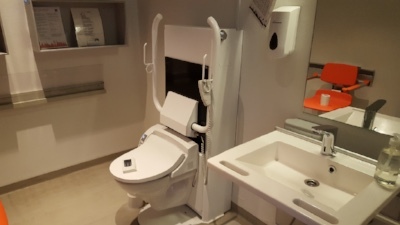 I had an organised tour of the exhibition to learn about the various technological aids provided by the Health and Care Administration to help people with limited mobility or disability maintain their independence through the support of assistive technology. It was fascinating to see the demonstration of the various products available and hear in detail the care and attention that had been taken by the team to source products that would benefit and support people to maintain a high quality of life despite their disability or frailty. 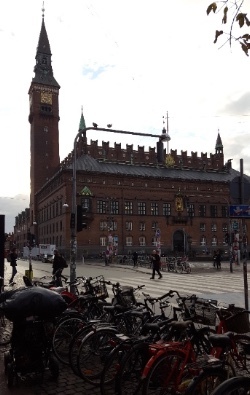 I then made a dash back to Sjaellandsgade to visit the City of Copenhagen municipal Centre of Care and Rehabilitation: Food, Meal and Nutrition team to have a meeting to discuss new initiatives currently being considered to develop innovative ways to enhance the meal experience of older people in both residential care and in their own homes. 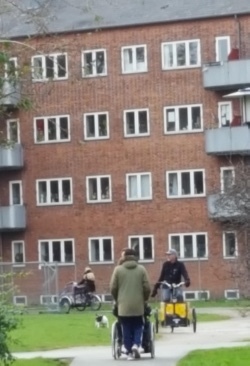 Afterwards I visited De Gamles By, also known as the Old Peoples City in Norrebro. The city consists of a number of care homes and retirement housing developments for older people, including a specialist dementia care service. Within the neighbourhood there a number of kindergartens operating so the sound of children playing can be heard and creates a vibrate feel in the city. There are plenty of green areas for people to walk their dogs and small gardens, farm with animals (e.g. goats, chickens, rabbits) where children are encouraged to play and learn about the different animals. A cancer health centre is also within the neighbourhood along with a church and a variety of other amenities you would expect to find in a local town. There was a lot to take in, but yet a wonderful example of a neighbourhood where the old and young alike can live comfortably together in a community where their different needs are met and celebrated. I look forward to the final day of my study tour. I will also produce a more detailed report of this visit in the coming weeks to share my key learning from this study tour. 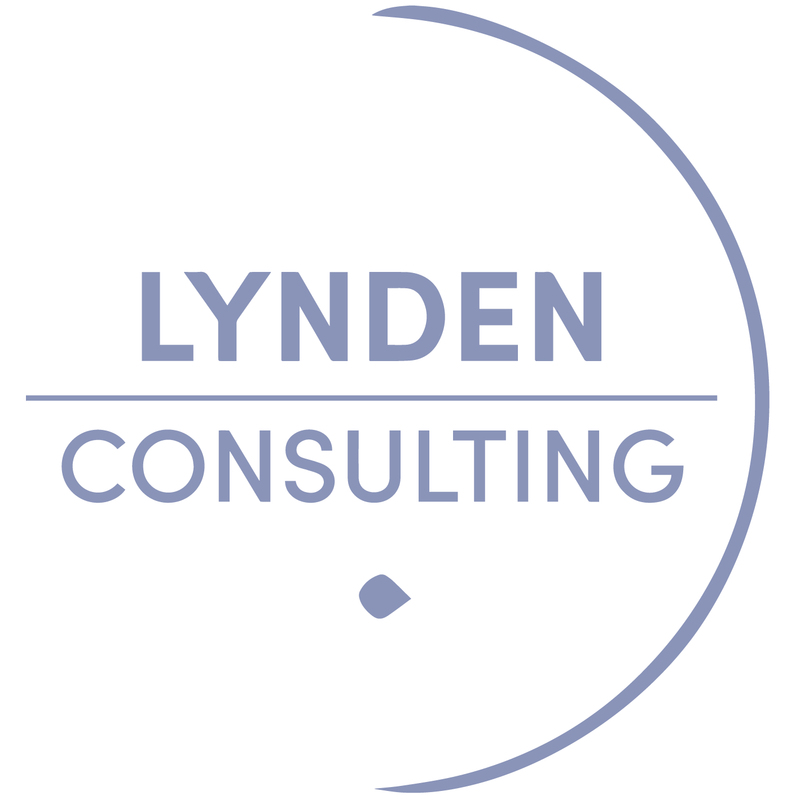 Edna Petzen @EdnaPetzen is director and marketing consultant at Lynden Consulting, a marketing and communications company helping health and adult social care businesses develop marketing strategy, manage their brand, improve performance and achieve communication excellence. Get in touch today to find out how we can help.